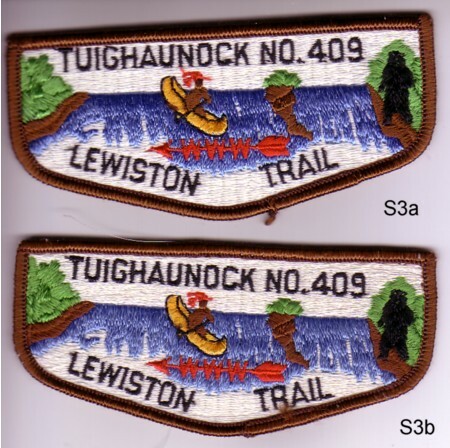 Here is the second post on variations from Tughaunock Lodge #409. In this case, the S3a and S3b. The brown is distinctly lighter than the S1 or S2. Again for the aquatically challenged, gunwales are the side of the canoe. In this issue you can see two sides. The blues are very close in color, but the a variety is slightly darker. If anyone disagrees with my identification, or has a more distinct variation, I would be interested in trading for/seeing it.